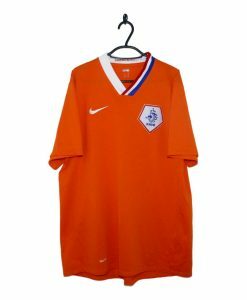 The Netherlands Away Shirt 2010-12 made by Nike has a white base colour and features a thin red chevron across the top of the chest and a thin blue one at the bottom. A blue Nike Swoosh is placed on the right breast with the Netherlands badge on the left, in between the two chevrons. 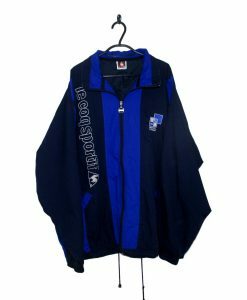 The collar is blue as is the trim on the cuffs.